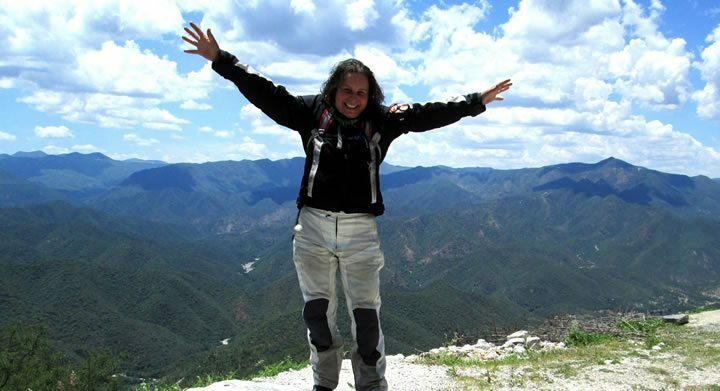 Announcing our featured Woman Motorcyclist of the Month ...GearChic! Gearchic gained my respect for her passion of motorcycling. 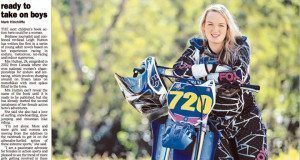 When you take one look at the past few years of this woman's life you'll see a love for a motorcycling that goes well beyond passion for a hobby. To Joanne "GearChic" Donn, motorcycling is a way of life. She's a motorcyclist who has spent years working in the motorcycle industry. 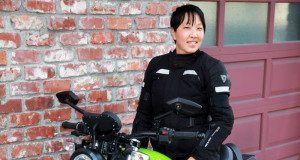 She runs her own motorcycle website, GearChic, dedicated to women's motorcycle gear. 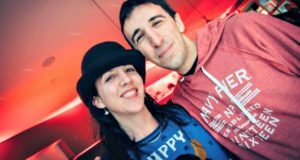 Lastly, she's the co-host of a podcast called Moterrific which really gives you a taste of GearChic's depth of knowledge, familiarity and enthusiasm for all things two-wheeled. Joanne's about to move to Philadelphia to start work at the Revzilla Headquarters Showroom, but she took a moment to give us a little peak into a truly two-wheel life. Is this video of attractive women riding motorcycles empowering to women? Should motorcyclists as a whole be impressed with it? 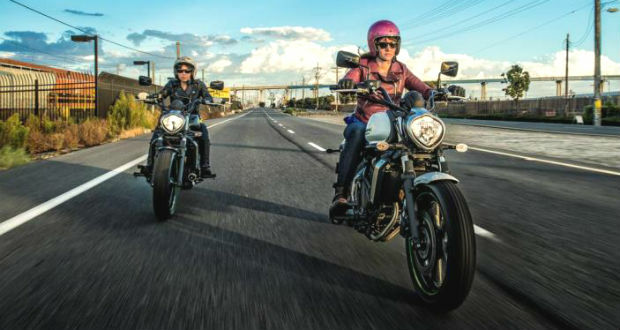 Is gender still a barrier to getting into motorcycling? 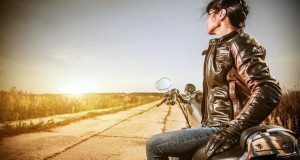 Is it time we start holding our motorcycling sisters to the same standard as we hold our brothers? Isle of Man TT (Tourist Trophy) is a 106 year old annual motorcycle racing event held on the Isle of Man, just between Ireland and the United Kingdom. It is the most prestigious and most dangerous motorcycle race in the world. The race spreads across the island over 60 kilometers (over 37 miles), spans over 200 bends, with an altitude range from sea level to 1,300 feet (396 meters) up. The natural road course makes the Isle of Man TT stand out in the eyes of many as the single greatest motorcycle racing circuit ever. Only the Dakar rally can compare. Much like the Bonneville Salt Flats, TT is a dream in the hearts of motorcyclists young and old alike. October 2013's YouMotorcycle Woman of the Month is author Nicole Winters. Nicole wrote a book titled TT: Full Throttle. The book is written for young adults, although we admit to liking it ourselves. Happy, who is currently reviewing the book wrote "It's a light read and very easy to enjoy and relate to." Meanwhile, Adrian had the chance to meet Nicole at her book launch last week and we have a great Question and Answer session with her. I read somewhere that fading in a great way for writers to introduce their subject. 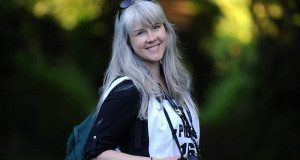 Unfortunately I'm not a writer, so I'm going to tell you how Shasta Smith of The Vintage Monkey came to be the YouMotorcycle Woman of the Month for September 2013. 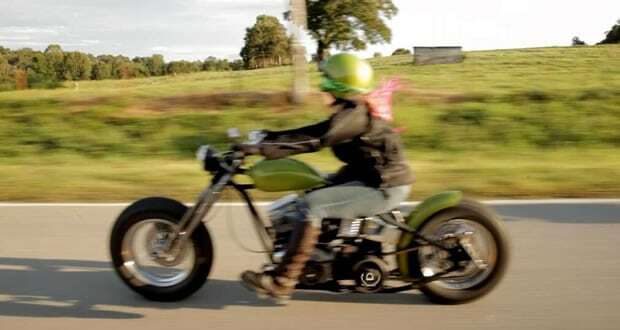 When I first came across Shasta Smith, it was on YouMotorcycle's Facebook page. She left a message saying hello. I took a look at her page and came across a series of pictures of a woman surrounded by motorcycles of yesteryears, thoroughly well restored through and through, with taste, tact and terrible coolness. Nothing was chosen at random, whoever was behind all of this put some serious thought and dedication into it. I was impressed. As I explored The Vintage Monkey, just who I had come across quickly became very clear to me. Here was a woman who could ride, wrench, run a business in the motorcycle industry and also happened to be beautiful. It was only a matter of time before I'd ask Shasta to be featured on YouMotorcycle. She was gracious enough to accept. In a past life I had the opportunity to interview Sabina Heilman, Director of Finance & Communication at KYMCO Canada. Ms. Heilman was on the road, visiting KYMCO dealers across la belle province. She's in a position that's all too uncommon in the power sports industry: a woman with an upper management level position.